From now on, all clients are able to log in as well as sign up into Hostens client area using their social network credentials. With this login feature, users can easily sign in and sign up by using one of the most popular networks such as Facebook, Twitter, Google+, and Github. This feature lets customers to build a seamless cross-channel authentication as well as improve their user experience while using Hostens client area. Finally, it is really simple, friendly, fast and convenient way to access the system. 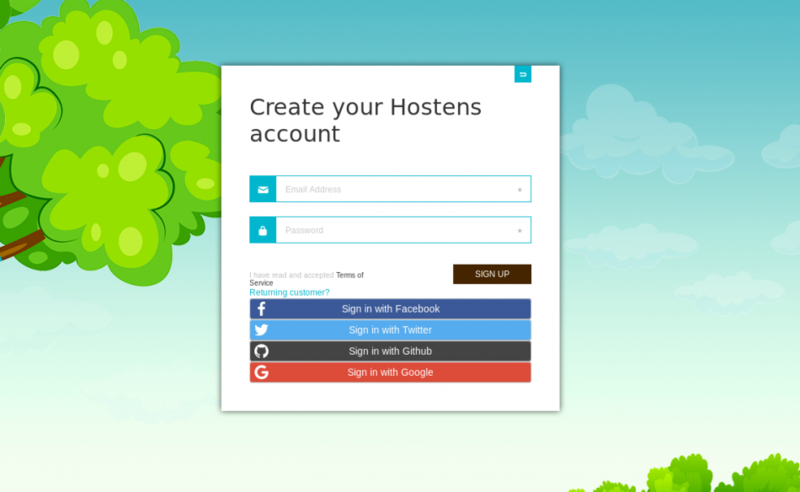 Also, it is worth mentioning that if you want to log in using your social logins, please keep in mind that your email address has to be the same both in your social media account and in Hostens client area.